*There will be a 7pm cutoff for uphill traffic. If you have not started your second or third lap by 7pm, you will be asked to drop down to the lower category. This is due to the course needing to be taken down in a timely manner. 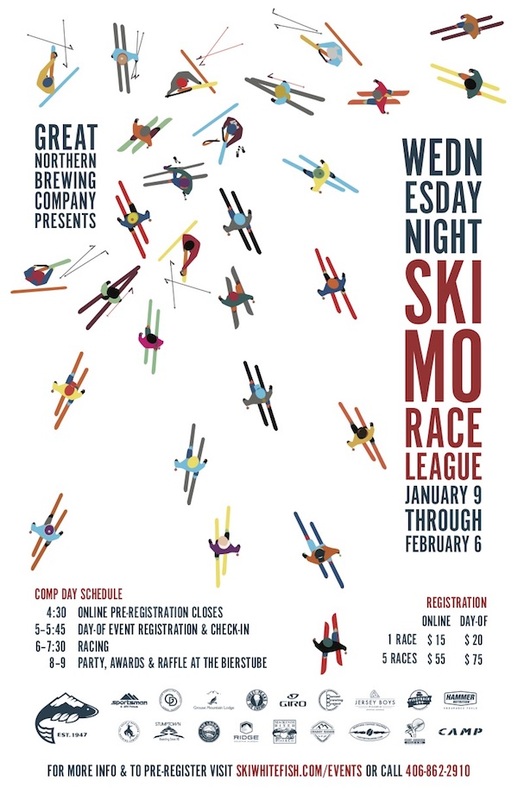 This will offer folks a chance to try this growing sport or event to help gain some experience and training for those competing in the Whitefish Whiteout February 9. The new SkiMo League requires skins, a helmet, a headlamp, and some wayfinding ability. 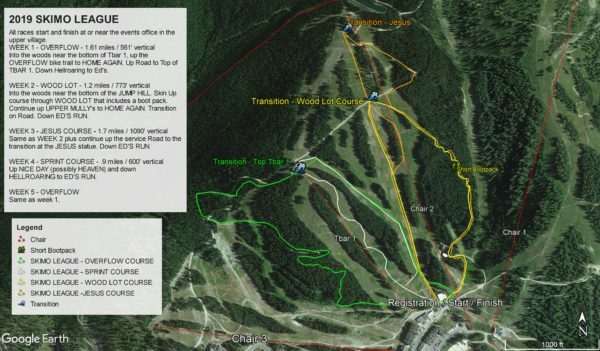 Courses will be marked in the chair 3 to upper chair 2 areas and consist of loops where beginners may choose fewer loops than experienced skimo racers. Each pre-registered participant will still need to check-in prior to racing. Buy four 5-Race Series registrations, and get one free! If four or more members of the same family register for the full 5-Race Series, we will refund one of them in full. After purchasing, please email events@skiwhitefish.com to receive your refund. Must let us know no later than midnight on the Tuesday before the first race. Located at the Events Office in the Upper Village area (map attached). All racers must check in to receive a bib. Registration closes promptly at 5:45pm. Participants under 18 years of age must have a parent or guardian sign waiver of liability. This can also be done through online registration. No Exceptions. A big thanks to the Bierstube and Great Northern Brewery for helping to host a fun awards / high five ceremony afterward. There will be a raffle and a little food and beer provided for the racers. Skiing + apres race party at the ‘Stube = good times.